At the moment of growing up, young girls dream of beautiful love, a prince on a white horse, and of flowers that her lover will give her. These expectations are dictated by beautiful novels in books and on television. Knowing this romantic mood, young men sometimes wonder: how many roses to give to the girl for the first date? It is no secret that a gift in the form of a bouquet of flowers will be pleasant to any girl or woman. It’s like a well-made compliment – always the way and to the place. Inviting a girl for the first date, the young man should think about the fact that flowers are simply necessary. For an unfamiliar girl is difficult to choose the “right” flowers, not knowing her preferences. In this case, you can safely opt for the queen of flowers – rose. Rose has always been valued for its grace and beauty. In ancient times, mores were more strict, and with the help of various flora, lovers would send each other messages and perfectly know the language of flowers. Over time, it lost its relevance, but even nowadays you can tell a lot without words, knowing the basic rules for composing a composition. Not only the shades of the buds are important, but also their number and the way the composition is designed. Boys do not pay much attention to this, however, girls sometimes have a good understanding of this symbolism and in order not to get into an awkward position or give false hopes, it is worthwhile to get a little understanding of the intricacies of composition composing. 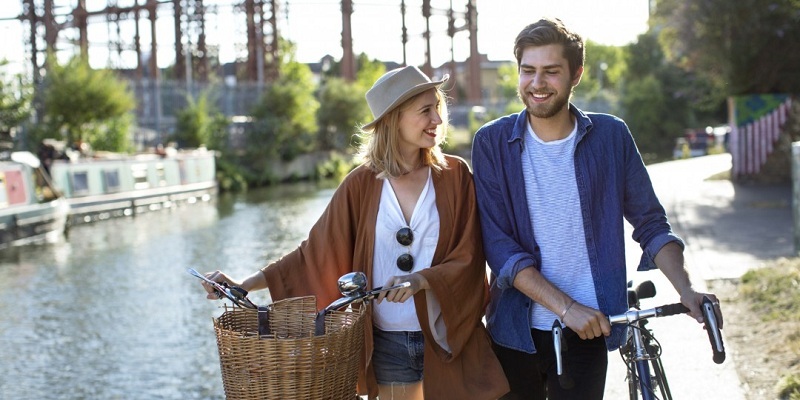 The first date is a very important step; the first impression is sometimes difficult to change, so it is important that young people, meeting for the first time, have positive emotions. 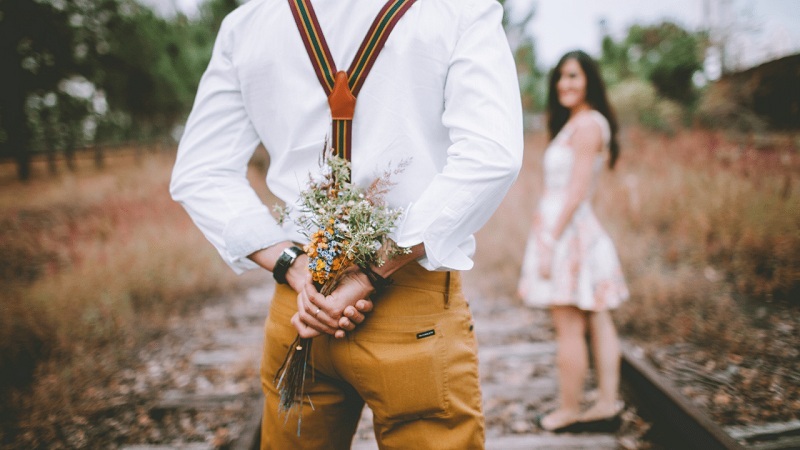 To the question – whether or not to give flowers on the first date – the answer is unequivocal – yes, definitely. Only it is necessary to take into account some points so that the meeting does not become a test. The first date will decorate the rose as well as possible. This flower symbolizes love and perfection in all its forms. Often the beauty of a rose is compared to the beauty of a girl, and this is very symbolic. However, it is worth considering that a large bouquet will interfere if young people decide to go for a walk or in a cafe. In addition, the symbolism of the huge bouquet will talk about the serious intentions of the young man, and for unfamiliar people, such an accent is somewhat premature. One bud symbolizes a timid hint of sympathy and the continuation of a relationship, which is very symbolic for a first date. A rose is so self-sufficient that it can be given alone, while one flower must be simply flawless. Three beautiful flowers speak of strong feeling and devotion, of admiration and admiration. It is appropriate to give such a gift on the first date to a girl, feelings for which have already grown stronger, but for some reason, there was no relationship. Five luxurious roses personify gratitude and wish good luck and happiness. Such a bouquet is considered to be as neutral as possible on symbolism, and it can be presented to colleagues at work, just acquaintances or relatives. Such a neutral gift is appropriate and on the first date, he does not promise anything concrete at the moment. Seven and nine roses are a declaration of love, admiration, and admiration for a woman. 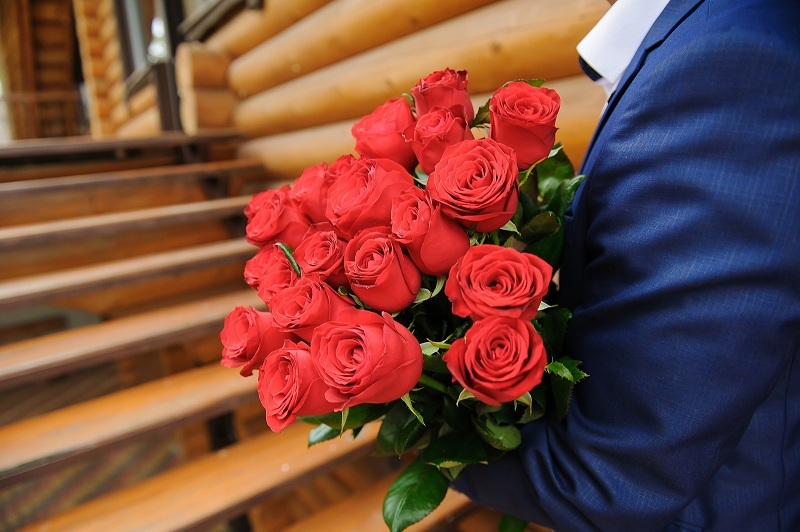 Such a bouquet can make the girl understand that the young man is ready for a more serious relationship, which is extremely rare on the first date. Roses today are sold all year round, and winter is no reason to violate the tradition of a first date. However, it is worth considering that frost can ruin a beautiful flower, so you need to pay special attention to the choice (there are more cold-resistant varieties) and packaging. To take everything into account, it is better to ask for help from a professional florist in a flower shop. White bud symbolizes purity and purity. This color is in harmony with the bridal outfit. A white rose is the best way to decorate a date and will give great pleasure to its exquisite and sophisticated bud color. All shades of beige, ivory color is a symbol of luxury and wealth, nobility and prosperity, a very elegant flower for a sophisticated young person. All shades of pink, except saturated, symbolize aristocracy and magnificence, look very gently in small bouquets and, of course, delight the young girl. Yellow color, contrary to popular belief, symbolizes wealth, joy, good luck and is in no way connected with betrayal or separation – this interpretation came from the East and simply has nothing to do with Christianity. If the weather permits, it is better not to pack the flowers, especially if it is a single rose. Packaging, especially colored, will distract attention from the flora itself. You can decorate such a gift with a beautiful contrast bow, and if there are several colors, small accessories in the form of a butterfly or a heart are acceptable. But the validity of their presence in the composition is better to coordinate with the florist. 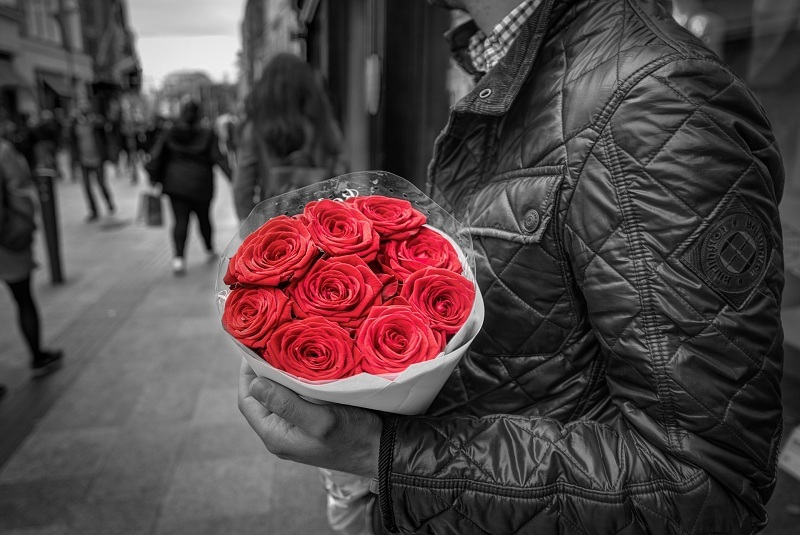 A gift in the form of a bouquet of roses will allow you to create a good impression, establish a dialogue, and arrange a girl for a guy in a special way. Such a gift will help to achieve mutual understanding and location much faster and will hope to continue the development of relations.